Discover Milan’s signature sights and gain skip-the-line entrance to Leonardo da Vinci’s ‘The Last Supper’ on this 3-hour small-group walking tour. With an expert local guide, explore the city center on foot to see top Milan attractions such as Milan Duomo, La Scala, Sforza Castle and other beautiful landmarks. 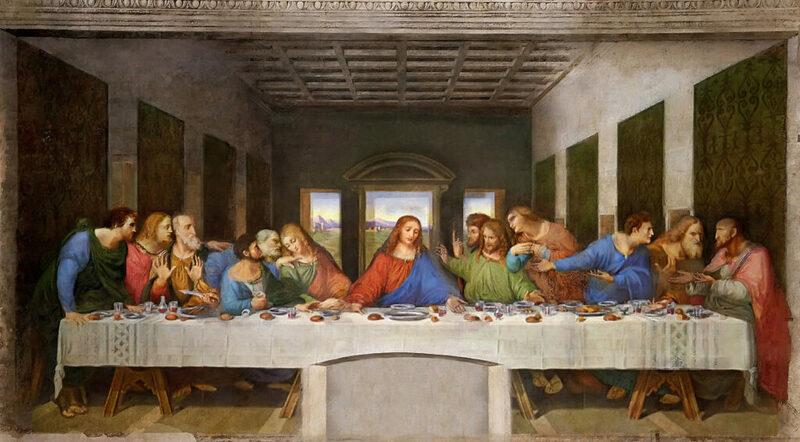 Plus, breeze past the lines to view da Vinci’s masterly fresco: a sublime depiction of Jesus’ last meal with his disciples. Numbers are limited to a maximum of 25 people on this small-group tour to ensure personalized attention. Get to know the stylish city of Milan on foot, starting with a visit inside the famous Duomo in the heart of the city. This impressive and beautiful cathedral is often described as one of the most beautiful churches in the world! Your next stop is the impressive Galleria Vittorio Emanuele II – a 19th-century glass-vaulted shopping arcade. Brimming with fashionable shops and cafes, you can admire the spectacular shop windows as you pass through the gallery to reach Piazza della Scala. This famous square is home to the world-renowned La Scala – Milan’s opera house since 1778 and still in use today. Some of the greatest musicians and singers the world has ever known have performed here! Next, take a stroll through the Brera District, rich in historical buildings, restaurants and fashionable bars – this area has long been home to artists and intellectuals. Its picturesque and winding streets lead you north to Sforza Castle, where you will take a short stop to admire the imposing medieval castle and fortress. The final stop and highlight of this walking tour is Leonardo da Vinci’s The Last Supper, hidden inside a Dominican refectory next to the Church of Santa Maria delle Grazie. This enormous and complex 15th-century mural captures the emotional moment in which Jesus announces that one of his 12 disciples will betray him. The painting had been severely damaged over the centuries, and has only very recently undergone a painstaking 21-year restoration, revealing the original colors and details of this masterpiece. The delicate nature of the mural and its importance means entrance is strictly limited to those who have pre-booked – only one group is allowed to stand with the painting at a time, in a specially conditioned room, for 15 minutes only. This skip-the-line tour includes pre-booked entrance, so you avoid the lines and enjoy an intimate viewing of this sublime and incredibly special painting. * The above itinerary is applicable to the 10:30am and 2:30pm departures only. If you select a different departure time, the tour will start at The Last Supper and finish with the walking tour around Piazza del Duomo. * Visits inside the Duomo are not possible on Sundays or religious holidays. On these days, a detailed tour will be given from outside of the Duomo.